Prior to and during the process of mass torts, multi-district litigation is integral in determining which cases are thrown out and how the others will proceed. Determining whether or not a case requires multidistrict litigation primarily depends both on the nature of the case and the number of people who have a claim against the defendant. While this process is most renowned as an aspect of all class action lawsuits, it is not exclusive to mass tort cases and individual cases may still be subject to multidistrict rulings regarding facts or evidence that is to be used during trial. The process of discovery is the way that attorneys gather information either to prove or disprove allegations made against the defendant in any matter heard before a court. Whenever multiple lawsuits are brought against the same company, it is far more efficient to have the witnesses provide depositions once rather than hundreds or thousands of times. Multidistrict litigation can deem certain truths to be considered fact in all cases of a similar nature against a single defendant so that the same witness is not required to appear in every lawsuit. An example of this would be if experts had determined that a drug caused adverse health problems that affected numerous patients. Their statements could be considered in individual and class action cases following the determination of fact. Multidistrict litigation also allows both the defendant and plaintiffs to submit documents and interrogatories once rather than requiring the same submission repeatedly in multiple cases. By allowing a single judge to make pretrial rulings on many of the statements and questions of facts, multiple lawsuits are allowed to move into trial more quickly and efficiently. When numerous plaintiffs present lawsuits against a single defendant or group of defendants involving similar claims, the United States Judicial Panel on Multidistrict Litigation convenes to consider whether the cases should be consolidated for the sake of efficiency and to reduce court costs associated with numerous cases handled on an individual basis. The panel is selected by the Chief Justice of the Supreme Court and is comprised of seven members. If the panel deems multidistrict litigation to be necessary, cases will be consolidated from around the country and pretrial motions and depositions will be heard by a single judge. 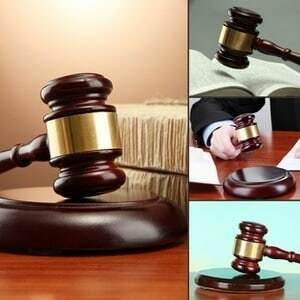 The judge presiding over a multidistrict litigation has the power to throw cases out that he or she considers to be lacking in evidence or proof and to declare or dismiss statements of fact which can be used in cases that proceed after the multidistrict litigation has completed. After the multidistrict litigation is completed, the individual cases are then returned to the courts in which they originated. While multidistrict litigation is a part of all class action lawsuits, not all cases included in multidistrict litigation are part of a mass tort or 'class action'. Multidistrict litigation is merely a means to speed up the process of discovery prior to trying the case and does not necessarily make your case a part of a wider class action lawsuit. Even if you have chosen not to participate in a class action or if a class action has not yet been formed, your case may still be subject to multidistrict litigation prior to being heard in order to determine matters of fact which will be considered through the trial. For more information about multidistrict litigation and how it may affect your personal injury lawsuit, contact the Rosenfeld Injury Lawyers LLC today to schedule a free consultation with an attorney. If you have been one of many people who have been injured by the same product or act of negligence and have questions about the legal process and your rights, we can help you determine how best to proceed with your case and whether to pursue the matter as part of a class action or an individual claim. Since our lawyers work on a contingency basis, you will never be charged upfront for any of our advice or services and we will only receive payment upon successfully securing compensation on your behalf in the form of a settlement or judgment in your favor.